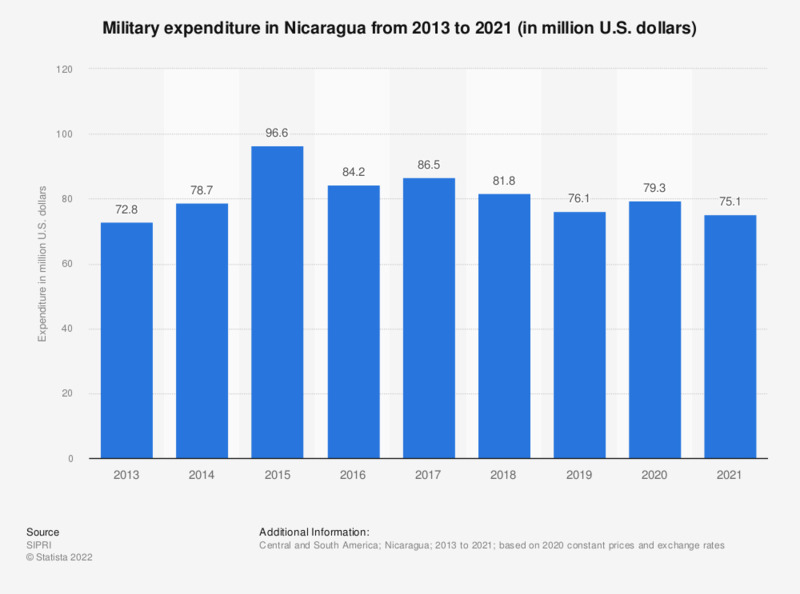 The statistic shows the annual value of military expenditure reported by Nicaragua from 2013 to 2017. In 2017, this country's government spent more than 84 million U.S. dollars in the military sector, down from about 85 million dollars a year earlier. Based on 2016 constant prices and exchange rates.